High-end flavorful chocolates hand made, We also import from belgium and all over the world all put together in one store for your taste buds and gift giving needs. This is a great store for a gift or just for yourself to get your chocolate fix for the day. 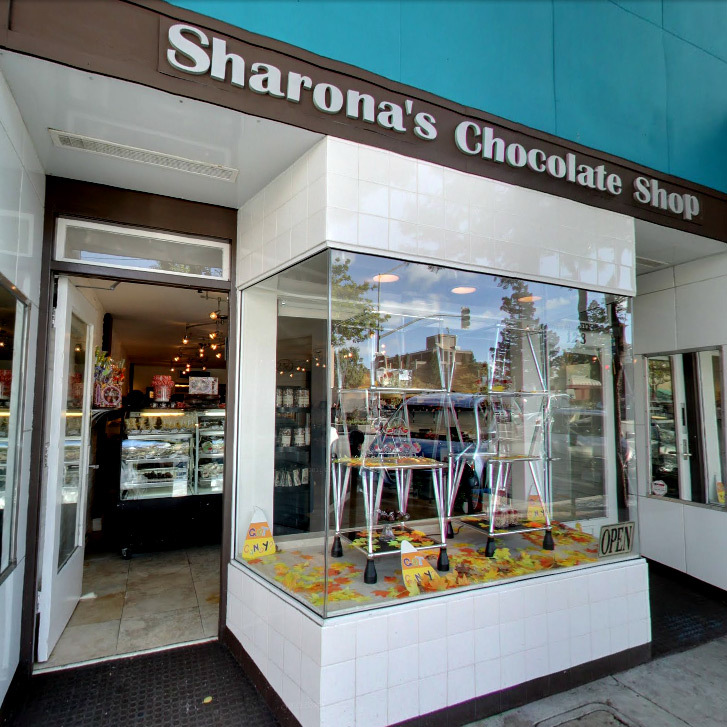 Sharona's Chocolate shop was founded by Sharona Sasounian in 2008. Customer satisfaction is our goal. We are here to meet your needs with a friendly and well-educated staff. The love of unique creations, nothing is out of the box. From chocolate covered Bacon to Sea salt caramels or Chocolate covered potato chips.... You need a chocolate size 6 shoe made? no problem we can do anything. Voted The best caramel chocolate covered caramel apples made right in front of you, chocolate dipped brownies, strawberries and more - OMG.... Winner of best party and wedding favors in 2009 by Bella Publishing.